Anandpur Sahib is a city in Rupnagar district (Ropar) in the state of Punjab, India. Known as "the holy City of Bliss," it is a holy city of the Sikhs and is one of their most important sacred places, closely linked with their religious traditions and history. It is located on the lower spurs of the Himalayas surrounded by picturesque natural scenery, with the river Sutlej forming a shimmering and shiny blue border on the south west barely four miles away. Anandpur Sahib was founded in 1665 by the ninth Sikh Guru, Guru Tegh Bahadur when he bought a tract of land. Here on the mound of Makhowal, Guru Tegh Bahadur raised a new habitation. The ground was broken on 19 June 1665, by Baba Gurditta. The new village was named Chakk Nanaki after the Gurus mother, Nanaki. The place later came to be known as Anandpur Sahib. 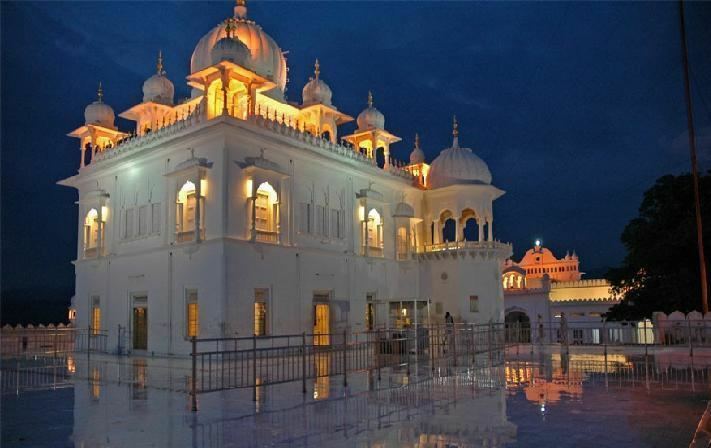 Gurudwara Takht Sri Kesgarh Sahib: Thakat Shri Kesh Garh Sahib is the central place of Anandpur Sahib. This revered place is birthplace of Khalsa: Revelation of Khalsa took place here. The sactum centorium is one of the Five Temporal Authorities (Five Takhats) of Sikhism. 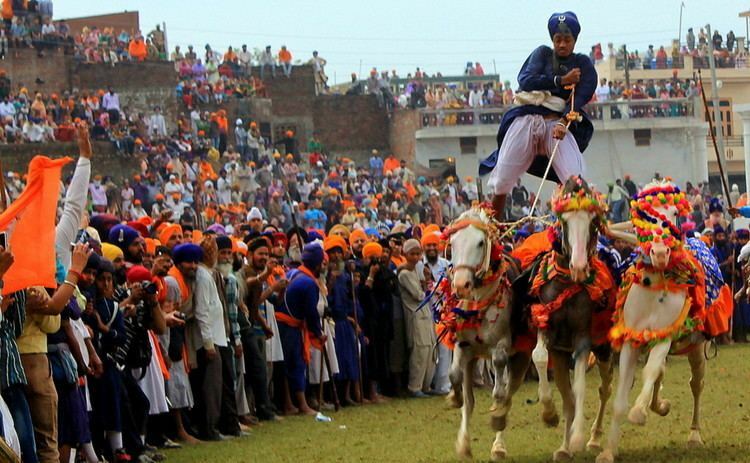 Anandpur Sahib comes to life every year on the occasion of Hola Mohalla. This tradition dates back to the times of the 10th Guru, Guru Gobind Singh. The guru decreed that the occasion of the festival of Holi be the occasion for the display of the martial spirit of his people. He gave this festival of Holi the Sikh name of Hola Mohalla. Each year Hola Mohalla marks the congregation of up to 100,000 devotees from all over the country for a festival of colour and gaiety. Anandpur Sahib (lit. City of Bliss) is situated on one of the lower spurs of the Shiwalik Hills in Ropar District of Punjab and is well connected with the rest of the country both by road and rail. It lies 31 km north of Rupnagar (Ropar) and 29 km south of Nangal Township. 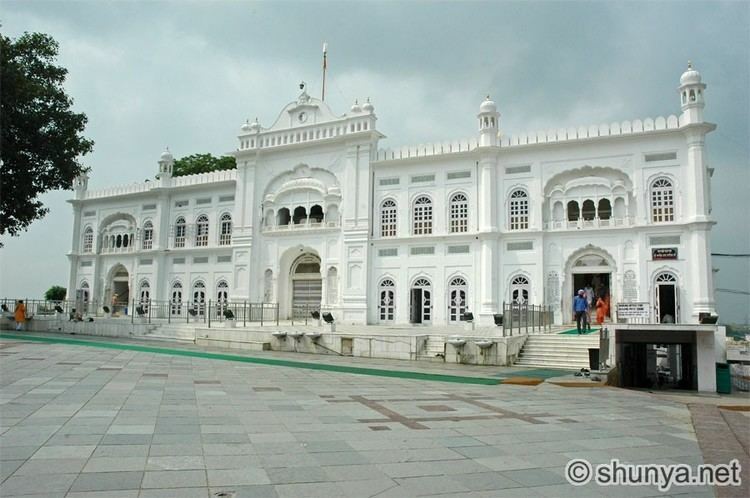 Being one of the supremely important historical centers of the Sikhs it has been reverently called Anandpur Sahib. It was here at Anandpur that on Baisakhi of 1699, Guru Gobind Singh inaugurated the Khalsa and the Panj Piare (the five beloved ones); hence inaugurating the order of Saint-Soldiers who pledged their dedication to defend the needy, poor and oppressed and their respective social, economic and political rights. This was a tradition of one of Worlds greatest Martyrs Guru Tegh Bahadur (the 9th Guru) who laid down his life in the defense of the Hindus on behalf of the Pandits of Kashmir. The order of the Khalsa, at the wish of Guru Gobind Singhs would henceforth be distinguished by five symbols (a uniform of 5Ks), viz. Kes (uncut hair), Kangha (comb), Kacherra (drawers), Kara (an all-steel bracelet) and Kirpan (a sword) so that they could easily be recognized by anyone under attack. Sikhs were further instructed to live to the highest ethical standards, and to be always ready to fight tyranny and injustice.